The town of Haverstraw suffered the depredations of a cabal of wizards for many years, until they were at last able to drive them into the wilderness. They kept them at bay with an oathstone, parading the magical device in public so that all would know. But the stone has vanished, stolen by some miscreant, who himself perished in the wooded country of the Darkenfold. The Darkenfold is an ancient forest, deep and malevolent. It is a wilderness that has drawn creatures to it, great and small, for many long years. As such it is filled with adventure, forgotten wealth and for those who survive, glory and renown. Harvest of Oaths combines over-land travel from a Trading Post in the Darkenfold, and it involves challenges in both combat and role playing. It is not a traditional adventure module that consists of one dungeon or one goal, but rather consists of a series of short adventures, which in turn offer the enterprising Castle Keeper the opportunity for numerous side treks and adventures of their own design all the while threading them together, if desired, with the oathstone. 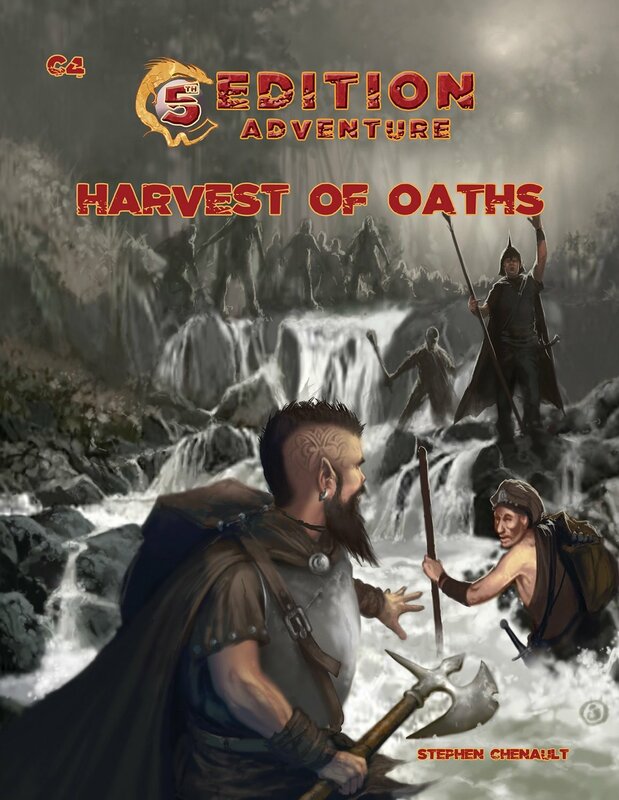 Harvest of Oaths is an adventure for 3-5 characters of around 4-7 level.